Regardless of whether you are a garden enthusiast with a large yard or an apartment dweller, there is composting system that will work for you. All you need to get started is a compost bin and a little bit of knowledge. Green Action Centre is there to help as well. You can contact us through our compost info line toll free at 1-866-394-8880 or in Winnipeg at 204-925-3777 or contact us by email. There are lots of good reasons to compost. Save money, save resources, improve your soil and reduce your impact on the environment. Regardless of your reasons, composting is a win/win scenario. Good for you and good for the environment. Adding compost to your garden will not only fertilize, it actually feeds your soil with a diversity of nutrients and microorganisms that will improve plant growth. Chemical fertilizers on the other hand provide a quick burst of a limited number of nutrients that can wash away into our rivers and streams. Compost also increases soil stability, improves drainage and helps retain moisture. No need to buy chemical fertilizers. Compost is free! Compost helps to retain soil moisture so you water less. The nutrients from compost are not washed away by rainfall. No waste! Extend the life of landfills. 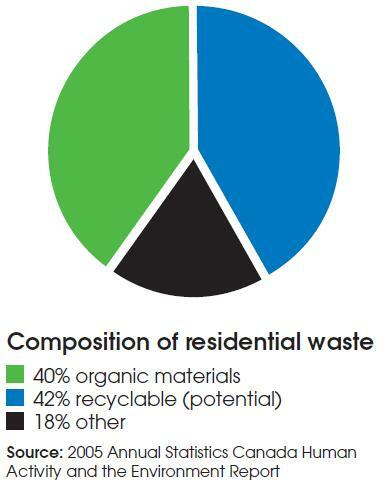 Remember residential waste is 40% compostable materials. Compost returns valuable nutrients to the soil to help maintain soil quality and fertility. Compost is a mild, slow release, natural fertilizer that won’t burn plants like chemical fertilizers. It also improves texture and air circulation for heavier soils (like Manitoba gumbo) and helps to increase the water retention of sandy soils. 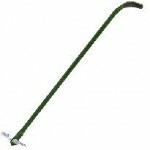 Provides organic matter and nutrients which will improve plant growth and lead to better yields. Reduce the impact of chemical fertilizers that runoff into our rivers, lakes and streams. Buried organics can react with metals in the landfill to produce toxic leachate, a potential source of groundwater pollution. By composting you complete the cycle by returning what you grow back to the soil to help you grow! Now that you know all the great reasons for composting, why not learn just how easy it is to do. With the help of a couple of young filmmakers and some funding from Assiniboine Credit Union, we were able to produce this fun video on the basics of composting. Enjoy! You don’t really need a bin to start composting, however most people prefer to keep their composting materials confined and in some cases covered as well. You can simply create a compost heap in your back yard, however if you choose a compost bin, you will need to think about how much waste you generate and how much space you have available for composting . There are lots of options ranging from commercially available molded plastic bins to large multi-bin systems that you can build yourself. Check out our compost bin options section for ideas and plans for building your own compost bin. If you live in an apartment or don’t have a backyard, you should check vermicomposting indoors using Red Wriggler worms. If you are composting outdoors in your backyard, the ideal location for your bin is on grass or soil, in a sunny (or partly sunny) spot. Choose a location that is convenient to access all year-round. There are two main types of organics that can be put into your compost bin, “greens and browns.” Greens are wet materials rich in nitrogen while “browns” and generally dry and rich in carbon. You need both of these materials to make compost. The following chart provides information on what you can and what you cannot compost. Meat, fish, eggs, bones etc. can be composted using a food waste digester such as the Green Cone but should never be placed in your backyard compost bin. Start your pile with a generous layer of browns on the bottom. Alternate the layers of greens and browns. You should use 2 to 3 times as much browns as greens. 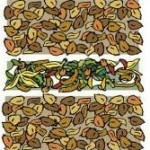 If you don’t have leaves you can use sawdust, straw, or even shredded newspaper for browns. Woody debris and larger material takes a long time to compost. You do not have to distribute the layers evenly over the pile, however you should always cover the “greens” with a generous layer of “browns” to prevent odours and avoid attracting unwanted pests. To make sure you always have some browns available, store some leaves in the fall for use the rest of the year round. You won’t really need them to compost all winter as the greens you add will be frozen anyway, but come spring you will need them. You can also add soil at any stage of the layering process. A shovel-full of soil will introduce many soil organisms into your pile and acts as an accelerator. A thin layer of soil added on the top of your pile also helps to discourage pests and odours. For information on keeping out unwanted visitors, check out our pest proofing section. Water and air affects the efficiency of the composting process. However, if you are not concerned about how quickly your compost is ready for use, then there is little else you need to do. Just feed your pile the right foods in the right proportions. Your compost pile is full of living micro-organisms and if they are in a healthy environment, their population and activity will increase, which in turn increases the heat in your compost pile. The hotter your pile, the faster you get finished compost! The micro-organisms in your compost pile need moisture in order to survive, however not too much or they won’t be able to breathe. Ideally your compost pile should have a moisture content of approximately 50%. You can easily check the moisture content by simply taking a handful of the compost and squeezing it in your hand. It should leave your hand moist and not drip more than a few drops when squeezed tightly. Remember that the “green” materials will be adding moisture content, however you may still have to add water. If your compost pile does not have a lid, you may want to cover it during heavy rains if it already has sufficient moisture. The micro-organisms in your compost pile also need air. Aerating your compost is not a necessity, but it helps to speed up the decomposition process. If you do not aerate your pile it could cause the pile to begin to compost anaerobically, producing an unpleasant odour. If you want your compost quickly, you can stir you pile as often as every 3 to 5 days, however experience would show that stirring every 2 to 3 weeks will produce mature compost in about 6 months. In most cases that would allow you to harvest compost in the fall every year. Aerating will not only avoid this unpleasant odour problem, but it makes a significant difference in how quickly your compost matures. You can aerate by turning the pile using a pitchfork or shovel or use an aerating tool to poke holes and make air channels throughout the pile. If you have a large compost pile, be sure to aerate all the way into the center so that the whole pile gets the air it requires. The composting process can take anywhere from a few months to a few years to complete. The length of time depends on balancing the right mix of materials, moisture content, and air. There are many different compost bins, and the specific type you have will have an effect on exactly how you harvest your finished compost. Generally the compost is ready to use when it is dark brown, smells like earth, and crumbles in your hand. For more information on harvesting and using your compost, check our harvesting compost page. Would you like to download our Backyard Composting Booklet?